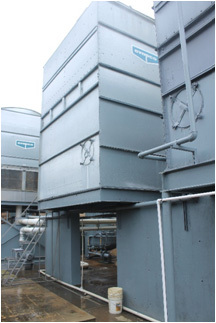 AC Stand for new unit with sub-assemblies – The owner of a large soft drink cannery desired to replace two smaller air conditioner units with one large unit elevated 20ft in the air. The main design concern was downtime from removing the existing equipment and replacing it in the same location. The existing equipment had to remain in operation for as long as possible and the structure had to be erected within 2-3 days. The client also desired that the main support structure be assembled at a comfortable work height for ease of construction and safety. Clark Engineers’ solution was to pour a slab footing beneath the existing units while the units remained in operation. The platform was shop fabricated in multiple sections that were field assembled on the ground (each section is shown in a different color below). The existing units were removed, the structure erected and the new air conditioning unit was installed, all with a than few days of downtime. Bottling plant needed to replace old AC units during one week shut down. Existing Concrete Supports shown here. 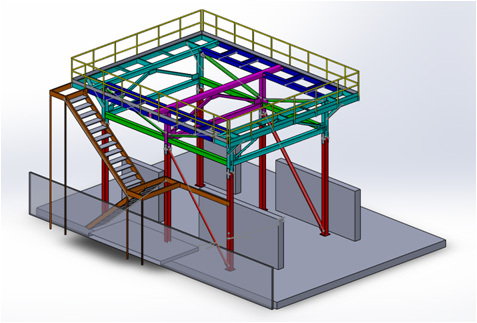 Designed Steel structure that was prefabbed into four separate sub assemblies and erected on site. Computer model of four sub-assemblies is shown. 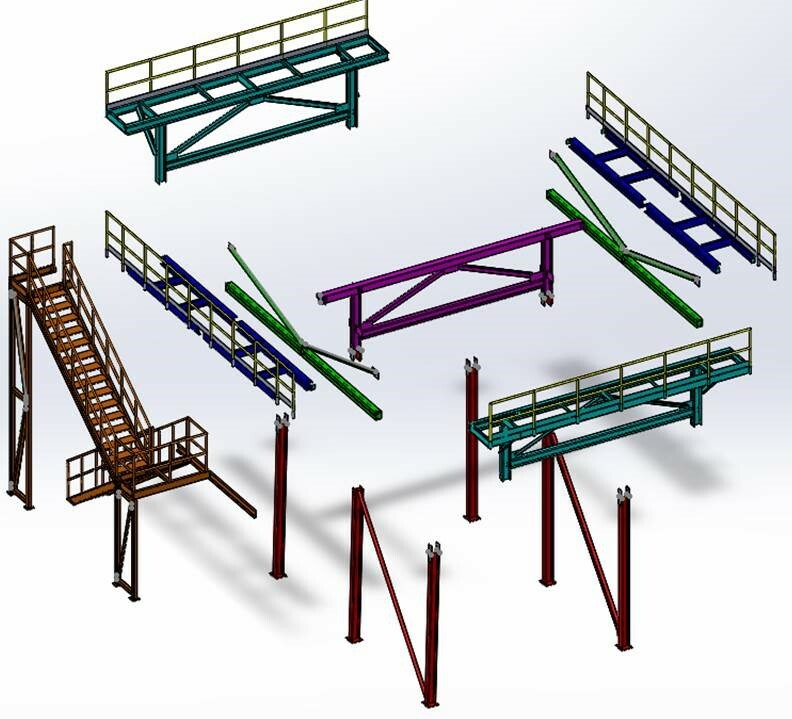 Other Plant Structures and components: Gantry, Steel Structure, Pump Generator Support, Crane Stairs, Prefabricate Stairs, and Pipe Straightener.